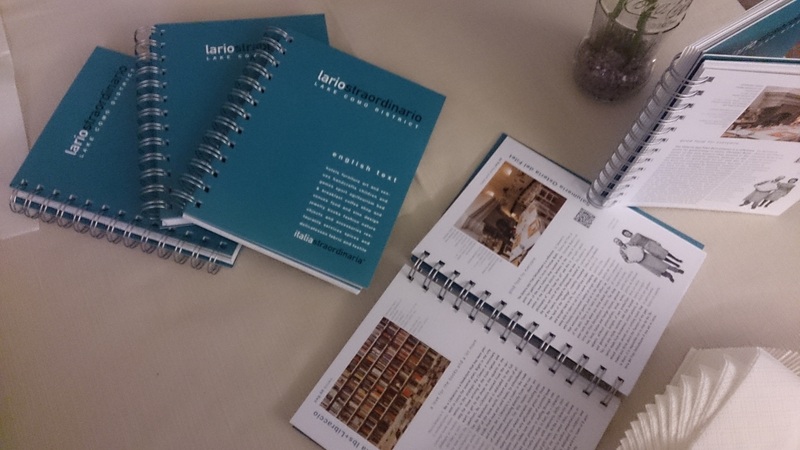 LarioStraordinario, a new guide book for the Lake Como district, created and co-ordinated by Viviana Musumeci and published by ItaliaStraordinaria is a extensive source of itineraries, food and cultural destinations as well as design, shopping and accommodation on Lake Como. I was invited to the book presentation held and hosted by one of the featured gourmet destinations, the Salumeria Osteria del Filet , in Lecco. The presentation was held in the main dining room of the restaurant as a friendly, talk-show interview style with the director Viviana Musumeci, introduced by local TV personality and journalist Barbara Gerosa. Musumeci, an experienced journalist, food blogger and fashion aficionado who has worked with Vanity Fair, Panorama Economy, TuStyle, and Gioia told her story of how she transformed her assidious career-oriented life in Milan to a fulfilling, quality-oriented life that sustains a life-work balance in which she can contribute to the community. LarioStraordinario is not only the result of her hard work and creativity, it is the manifestation of her appreciation and her desire to share her knowledge of this wonderful area called Lario, otherwise known as Lake Como. Not only was the book presented, but we were offered a Prosecco aperitif and tasting of local aged cheeses, freshly baked breads and cured meats. After the presentation we were invited to visit the cellar where the cheeses are aged. Other participants of the evening were La Polleria Buzzi , family run gourmet shop, Le Briciole Collection , artisan boutique, and A Lume di Candela, artisan candle makers and Silvia Pecis, jewelry designer at Ugit Lago di Como.